Gravity Forms is a WordPress plugin that millions of websites worldwide rely on for handling user input. With endless features, top-notch support, and a dedication to quality, it’s no wonder why businesses choose Gravity Forms every day for even their most critical data. Not only is Gravity Forms chosen for their incredible reliability, but also their flexibility and ease of use. By leveraging the power of Gravity Forms, dozens of official add-ons, and thousands of community-created add-ons, there’s something for everyone. Whether you’re a basic user that just needs to create a quick form or a developer who needs a robust framework to build on top of, Gravity Forms is an excellent choice. 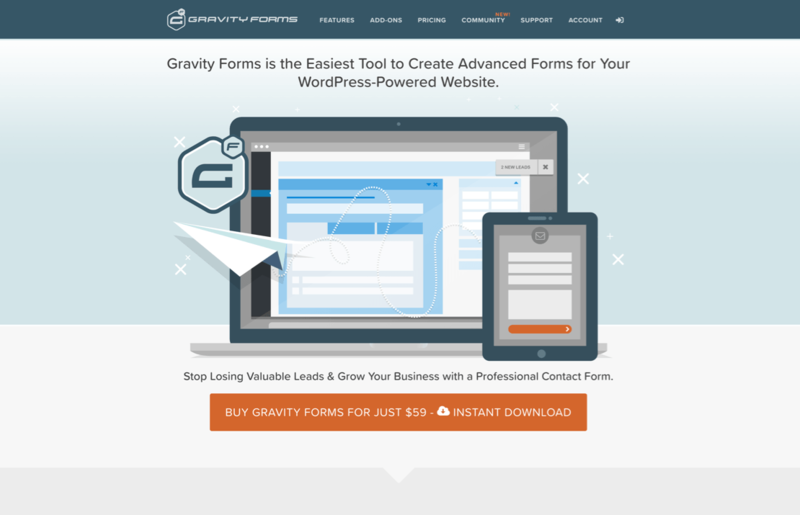 Gravity Forms is a premium WordPress plugin for quickly creating advanced forms. Whether you're a basic user or a developer looking for a solution to build on top of, you can't beat the incredible power of Gravity Forms.